What Exactly Is a Pyromaniac? Despite culture’s flippant treatment of the term “pyromaniac”—often jokingly shortened to “pyro” or termed “firebug”—people with pyromania have a serious mental health condition. Pyromania is characterized by intentionally and repetitively setting fires—and doing so compulsively. Pyromaniacs feel unable to stop the behavior. Setting a fire releases inner tension or anxiety and gives the person a rush of pleasure or relief. The latest edition of the Diagnostic and Statistical Manual (DSM-5) files pyromania in the disruptive, impulse-control, and conduct disorders section. The essential feature of pyromania is the presence of multiple episodes of deliberate and purposeful fire setting. A fascination with fire, which may include interest, curiosity, and attraction to fire and fire setting paraphernalia. Spending time at a local fire department, setting fires to be affiliated with the fire department, or becoming a firefighter. People with pyromania do not set fires for monetary gain. They also aren’t trying to conceal criminal activity, gain vengeance, or improve their living situation. The symptoms also cannot be in response to delusions or hallucinations. The fire setting also cannot stem from impaired judgment, such as an intellectual disability. The diagnosis also won’t be made if the behavior is better explained by another mental illness, such as conduct disorder or antisocial personality disorder or if it occurs during a manic episode. People with pyromania may make considerable advance preparation for setting fires. They may be indifferent to whether anyone is physically or financially harmed or they may gain pleasure from the destruction they cause. A pyromaniac might hoard matches and lighters, burn holes in fabric, rugs, or furniture and set fire to pieces of paper or other flammable materials. They may seem obsessed with setting fires. But, pyromaniacs don’t have a desire to harm anyone and they aren’t looking for monetary gains from the fires they set. So while an arsonist may burn down someone’s house to get revenge or to try and collect insurance money, pyromaniacs are doing it purely for the emotional benefits they gain from starting fires. There isn't a single known cause of pyromania. Research suggests there might be a genetic link and it may be similar to a behavioral addiction. It’s not known exactly how many people have pyromania. Researchers estimate it only affects a very small portion of the population, however. The lifetime prevalence of fire setting is reported to be 1.1 percent of the population—and that’s only one component of pyromania. So it’s likely there are far fewer people who meet the full criteria for a diagnosis. When researchers examined individuals in the criminal system who had exhibited repeat fire-setting behaviors, they found only 3.3 percent of that population met the full criteria for pyromania. People who have certain other mental illnesses may be at a higher risk than the general population. 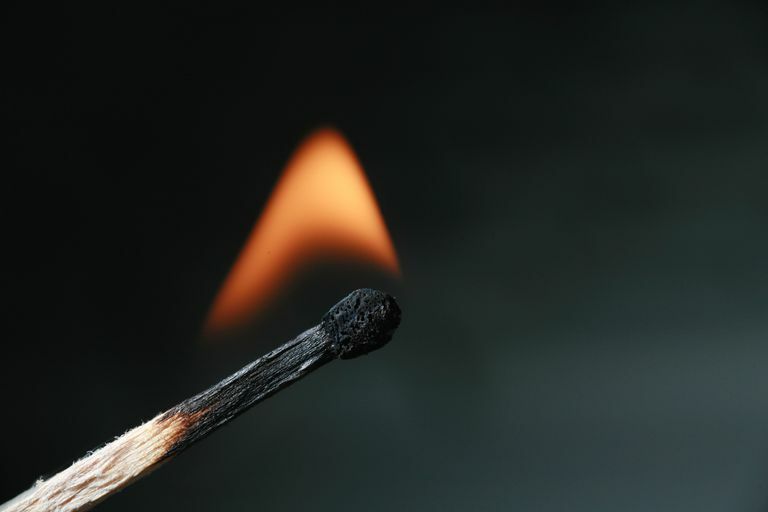 People with a gambling disorder, bipolar disorder, substance use disorder, and antisocial personality disorder may be more likely to be pyromaniacs. The condition appears in both males and females—though it’s significantly more common in males—and people of any age, even as young as 3 years old. It’s more common in people who have learning disabilities or lack social skills, and there are environmental factors in play, too. Pyromania has been associated with people who have been sexually or physically abused, or suffer parental neglect or abandonment. People who have a history of crime also tend to display more fire-setting tendencies. For example, more than 19 percent of those diagnosed with pyromania have been charged with vandalism at least once, and around 18 percent have been found guilty of non-violent sexual offenses. Fire setting is a major problem in young people. More than 40 percent of individuals arrested for arson in the United States are under the age of 18. But, few of those young people meet the criteria for pyromania. There isn’t a typical age of onset for pyromania. It may be identified during childhood but it’s not clear if pyromania lasts into adulthood. Fire-setting behaviors often come and go in people with pyromania. So a child who exhibits symptoms of pyromania may seem to get better over time before engaging in fire setting again. Pyromania may be identified during childhood. Family, friends, or teachers may be among the first people to recognize a child seems obsessed with fire. Fire setting in adolescents is often associated with conduct disorder, ADHD, or an adjustment disorder. Immediate treatment of suspected pyromania is key to avoid the risk of injury, property damage, jail time or even death. The sole method of treatment for pyromania is cognitive behavioral therapy, which teaches a person to acknowledge the feelings of tension that can lead to setting fires and finding a safer way to release that tension. Family members who are concerned about an individual who seems obsessed with fire might benefit from family counseling. Family therapy can help loved ones understand the disorder while also teaching them how to keep the family safe. At this point, there haven’t been any controlled trials of medication for pyromania, though proposed medical treatments include the use of SSRIs, antiepileptic medications, atypical antipsychotics, lithium, and anti-androgens. Therefore, cognitive behavioral therapy is considered the only viable treatment option at this time. Pyromania isn’t a joking matter, nor is it something to treat lightly. Potential pyromaniacs should seek help immediately to keep themselves, as well everyone in their lives and in their community, safe from harm or damage. Black DW, Coryell W, Crowe R, Shaw M, Mccormick B, Allen J. The relationship of DSM-IV pathological gambling to compulsive buying and other possible spectrum disorders: Results from the Iowa PG family study. Psychiatry Research. 2015;226(1):273-276. Burton PR, McNiel D, Binder R. Firesetting, arson, pyromania, and the forensic mental health expert. The Journal of the American Academy of Psychiatry and the Law. 2012;40(3):355-365. Diagnostic and statistical manual of mental disorders: DSM-5. Washington, DC: American Psychiatric Publishing; 2013. Gannon TA, Pina A. Firesetting: Psychopathology, theory and treatment. Aggression and Violent Behavior. 2010;15(3):224-238.